Adetutu Adekunle from Nigeria, who goes by the name of Tutu, always enjoyed food and cooking, but initially did not think about making this a career. She had already earned two degrees in Biochemistry and Environmental Management from the University of Ibadan, Nigeria and the University of Surrey, UK. 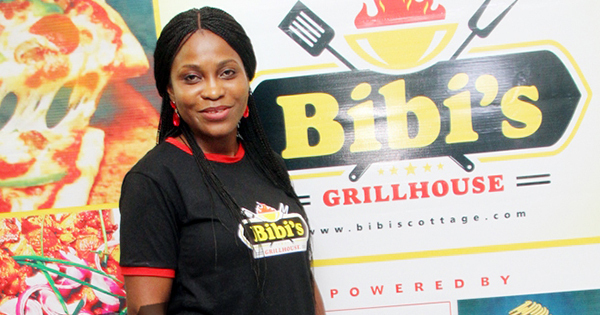 But, now she is the CEO and founder of Bibi’s GrillHouse and Bibi’s Cottage Catering. However, how she got there was really by accident! Tutu had a friend over for lunch one day, and the friend really enjoyed the meal. She enjoyed it so much that when her cousin became ill, she called Tutu and requested that she prepare the same meal that she had served her the other day. Tutu was happy to oblige and although her friend offered to pay, she turned down the money. That was just the beginning. Next, her friend's cousin, who enjoyed the food so much, called Tutu wanting to place an order for 5 packs of what she had the day before. Then the orders starting coming in -- first 10 packs, afterwards 12, then 15 and all the up to 50 orders. At this point, Tutu knew she had to make a decision about turning this into a business. And as word continued to spread, she realized she couldn't do it alone. So, she hired a staff. 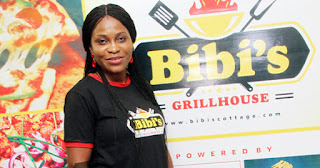 Tutu now has two thriving businesses - a catering company called Bibi’s Cottage Catering Company, and a restaurant called Bibi’s GrillHouse. The catering company offers customized catering services for social and corporate events, schools and bulk orders for home use. The restaurant, located in a mall in the city of Lagos, uses the gourmet of Nigerian foods to offer patrons a simple, innovative cuisine intertwined with barbeque and grilled treats. Tutu's business has grown largely by word of mouth and referrals from satisfied customers. In addition, she loves to experiment with food and cooking, so she has a great product to offer. She explains, "I guess I have earned the bragging right to say that a good product advertises itself." Her business started small from her own kitchen, and now is a full-blown enterprise.